It’s one of the most awe-inspiring sights I’ve ever seen: molten lava flowing into the Pacific Ocean. From our front-row seats near the edge of a cliff, we watched in wonder as Pele, the volcano goddess of the ancient Hawaiians, performed spectacularly. 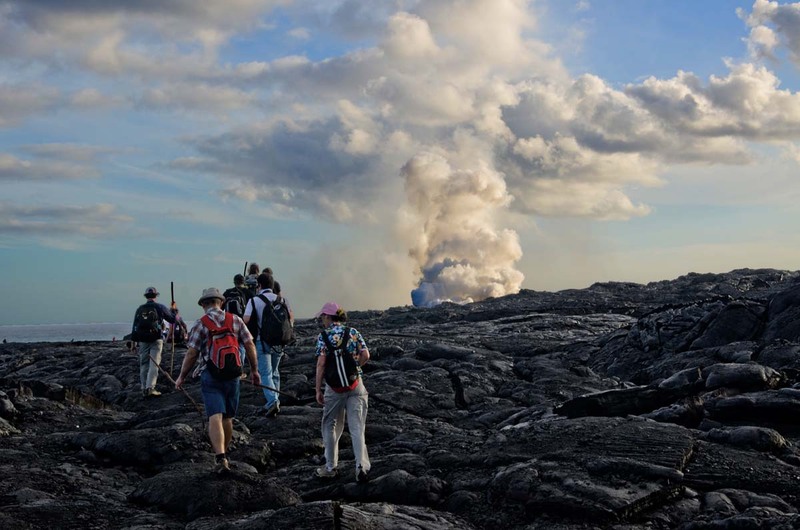 This entry was posted in Adventure travel and tagged adventure, hawaiians, hiking, lava, pacific ocean, travel destinations. Bookmark the permalink.